Jax Wax Super Citrus Cleaner & Degreaser is highly concentrated and easily cleans, deodorizes and degreases the toughest jobs. 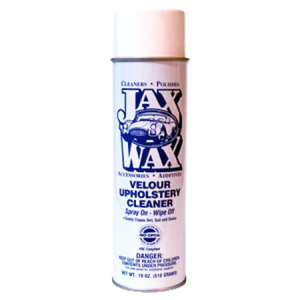 Jax Wax Super Citrus Cleaner & Degreaser in unequaled in it’s versatility in any cleaning task, from cleaning and degreasing an engine compartment to wiping down delicate interior trim pieces – safely without hurting the surface. 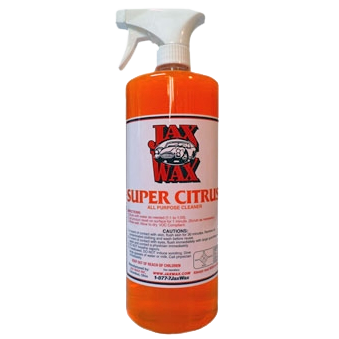 Unlike other retail orange cleaners, Jax Wax Super Citrus Cleaner & Degreaser is not simply dyed or scented Orange. It is mixed and blended at professional strength to make easy work of the toughest “dirty jobs”. Besides it’s awesome cleaning power, it is not caustic, and will not leave any residue on the surface. Jax Wax Super Citrus Cleaner & Degreaser’s proprietary formulation includes special surfactants and pure d-limonene, which is a natural solvent, a byproduct of citrus fruit.It has far superior cleaning and degreasing capabilities than that of traditional petroleum based solvents without the overwhelming odors and toxic fumes. When using this product only a nice pleasant scent and perfectly clean surface remains.Jax Wax Super Citrus being highly concentrated, is designed to take the place of numerous products by simply diluting the product for the task at hand, and is highly cost effective. 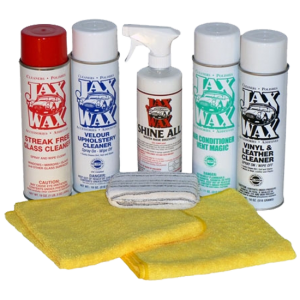 Be the first to review “Jax Wax Super Citrus Cleaner & Degreaser” Click here to cancel reply.